Escondido, CA September 16, 2009 — Joyce Tang, founder and Chief Executive of agilisIT, was invited to speak at an information technology security seminar hosted by Escondido Chamber of Commerce. The conference, Protect Your Business: “Shield against identity fraud, safeguard client data, and institute safe information storage procedures”, was held on September 16, 2009. Escondido Chamber of Commerce, located in Escondido, CA has been helping local businesses work together to strengthen Escondido’s economy. Ms. Tang was invited by the Chamber to speak about information technology security concerns for small and medium-sized businesses (SMB). Security threats directed at SMBs have been rising for the past few years. Verizon’s recent Data Breach Investigations report revealed that 71% of IT security breaches that they have investigated involved small businesses that have less than a hundred employees. The US Small Business Administration (SBA) mentioned in an article posted on their website that cyber criminals usually aim steal an SMB’s identity so that it can get credit under the business’ name, which may severely affect the SMB’s credit standing and hinder it from securing further credit (http://www.sba.gov/blogs/how-prevent-and-detect-business-identity-theft). But despite increasing cyber security attacks towards small businesses, Software Advice revealed in an October 2014 report (SMBs and Cybercrime Preparedness Industry View) that about 64% of small business owners are not armed with security plans to prevent cyber threats. Known for its specialization on IT consulting and services for biotechnology and healthcare organizations, agilisIT also provides a host of security solutions for small business enterprises, including installation, maintenance, and management of security devices and networks. To know more about agilisIT’s IT security solutions, go to http://agilisit.com/it-solutions. At agilisIT, we believe trust is earned with hard work, dedication and fairness. Is that what you’re looking for in a partner? Complimentary on-site assessment to identify any red flags in your network. We'll also advise you on how you can fix these issues. How can we help you accelerate your business? Agilis Group Inc. 2018 All Rights Reserved. Have a custom software development project or need modifications on existing projects? We have the expertise to develop, manage, document and provide post-production helpdesk support to your end-users. In healthcare? We are well-versed in designing and managing HIPAA compliant infrastructure and secure medical data exchange platforms using HL7 and FHIR standards. Some Clouds Have Clear ROI. Some Are Just... Cloudy. Cloud computing is the smart thing to do, but it’s not suitable for every business process. We take a careful and deliberate approach when advising and building cloud solutions for our clients. We’re not afraid to say “No” when the solutions is not the right fit for you. Thinking about putting your email system, files, backup, remote workspace onto the cloud? We consult with you and can help you implement the right solution. Thinking about having an always-on, highly-scalable cloud infrastructure for your complex, proprietary or custom application needs? We help clients modernize their internal enterprise computing needs and build new profit centers on the cloud to expand their traditional business. See More. Proactive Network Management. Unlimited Support. Simple Monthly Fee. TotalCare+ is our Total IT Outsourcing solution with a predictable monthly cost, a smart way for businesses to manage their IT needs cost-effectively. With TotalCare+ you’ll have a highly specialized support team managing and monitoring your network, supporting your users, protecting your data and ensuring your business continuity. We save you time, money and avoid the costly loss of productivity. If you’re like most small and midsized businesses, you do not have a dedicated security specialist. Yet your business is at risk from external cyber attacks and internal threats 24/7. With our TotalSecurity+TM solution, we provide security without the hassle or cost of hiring someone in-house. We set up your security devices, manage and monitor the security of your network and data against malicious attackers. Security is a constantly evolving field within IT and it takes multiple layers of defense to be effective. We take care of it all in a comprehensive solution. We unify stand-alone network security appliances, such as firewall, intrusion prevention and detection, anti-virus and anti-malware protection into one robust network security solution. Worried about employees leaking confidential data? Being unproductive on the Internet? Concerned about industry compliance like HIPAA, SOX, PCI? Need a security expert for a complex issue? We can help. If Your Server Crashes at 8am, How Hurt Would You Be? Data backup is often an afterthought, but it shouldn’t be. Data is the currency of the 21st century. It is your business. It is your reputation. It is money. We know how hard you’ve worked for success. That’s why we make it our business to protect businesses like yours. Research shows that 70% of businesses that suffer a fire or major data loss go out of business in a year. With our TotalBDRTM (Backup and Disaster Recovery) service, you won’t become part of the statistics. We sit down with you to define how protective your systems need to be in order to meet your business’ demand. First, we shore up your systems to prevent outages. Then we design, manage, fine tune and routinely test your backup system as the safety net. Data can be a double-edged sword. Even the smartest companies are prone to having data headaches. Proprietary systems tend to create data silos, and data silos bog down the information flow and real-time reporting within an organization. Are you a sales organizations needing data silo integration, data management, analytics, or BI dashboard? Are you a research organization needing data management, optimization, performance tuning or analytics for your datawarehouse? From sales data to research data. We help you identify the data management solution that is right for you. Supercharge your team with a subject matter expert. Do you need a subject matter expert (SME), product champion or senior consultant for your project? Leverage our network of talents to locate the SME, the specialist, or the industry veteran who is individually matched to your unique requirements. Are you looking for an Agile coach, a Six-Sigma consultant, a data scientist, a business process specialist, an ERP consultant, a bioinformatics specialist etc? Come talk to us! We can help. We work with you to identify KPIs (key performance indicators) and critical data points – from sales trends to operational trends. You ask the business questions, we present the real-time data to support your decision making process. We have helped CFO’s discover revenue leakage; we have helped healthcare organizations improve both their health and financial outcomes. Got data silos, unstructured data and proprietary systems? 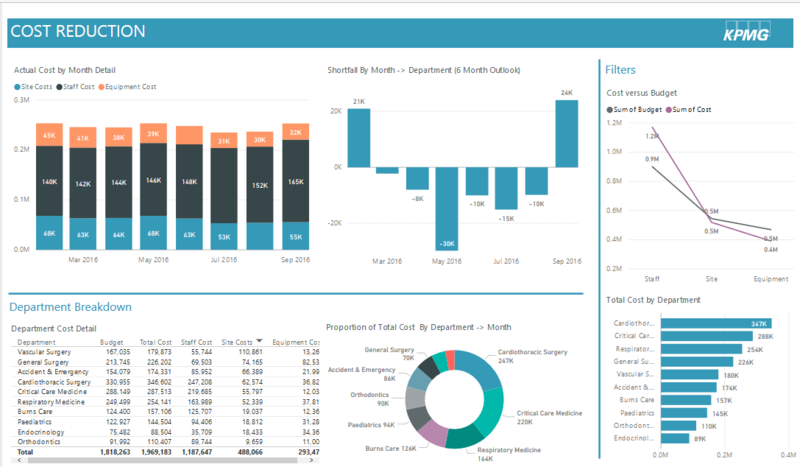 We can help you extract data from different sources, perform data scrubbing, validate and analyze so your data is ready for the executive dashboard. We are the technology partner for market disruptors like you. Visionary business leaders engage us to help them harness the power of emerging technology, from wearables, IoT devices to intuitively designed mobile solutions. The era of cloud computing and big data is now. We help organizations harness the power and capitalize on the paradigm shift. Our clients create new profit centers to achieve or strengthen their leadership position in the market. Experienced with private, hybrid and public clouds, we work with you to choose the best route for your cloud strategy.